Hand dyed SW Merino Wool Bulky Plush yarn for your most beautiful knitting and crocheting projects. This spatter painted yarn will give your creations a unique, splashy overall look. 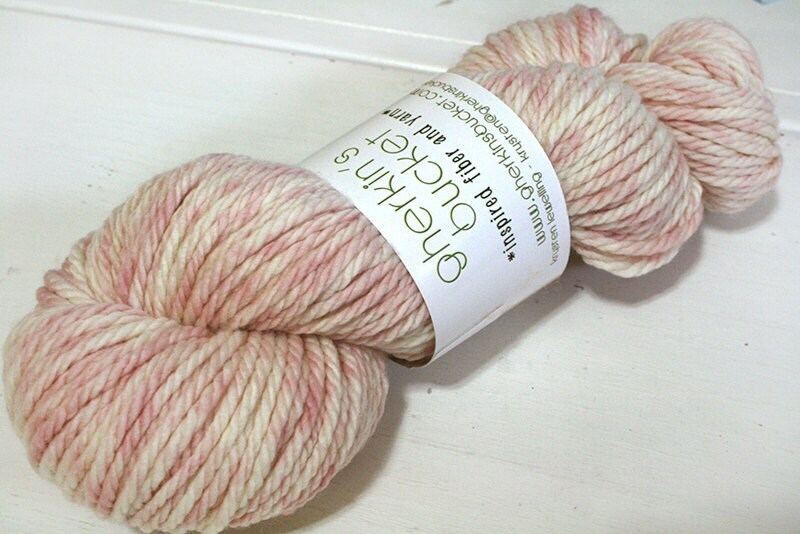 Pink Champagne is a pale, sophisticated pink, splashed over natural cream yarn. This yarn base is lofty, squishy, and soft, and may be machine washed - however I always recommend hand washing your precious hand-crafted goods! I do my best to photograph my items in a manner which most accurately describes them but, due to variances in monitors, colors may appear slightly different from one to another.